This is for approx. 2.5 oz. of such an Adorably Colored Palette. ***TEN*** colors (1/4 oz. ea.) for a great selection. 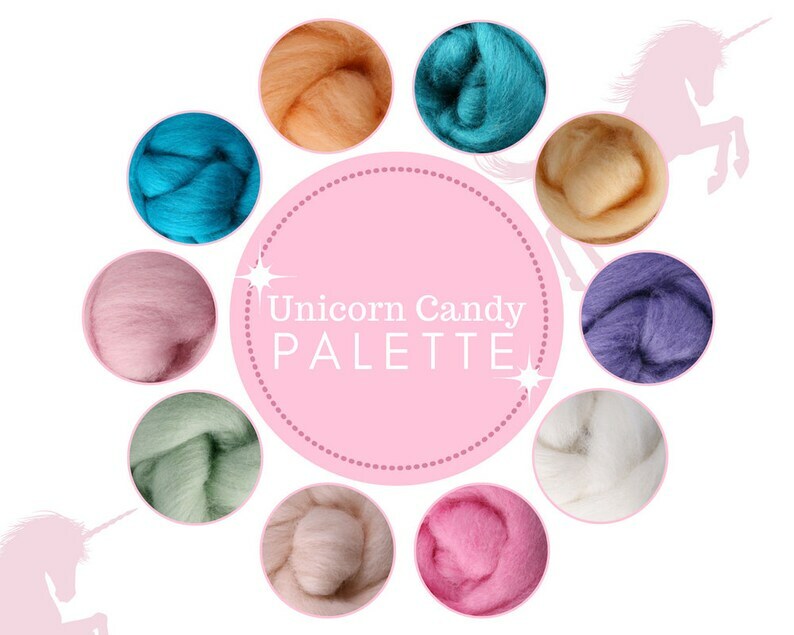 Fun, Fun colors in our Unicorn Candy Palette. Gorgeous colors and beautiful, soft roving.